WBMDFC Recruitment 2019: The higher authorities of West Bengal Minorities Development and Finance Corporation had released the notification to fill 41 Assistant Manager, LDC, Group-D, Driver Posts. The officials clearly mentioned that all requirements which candidates are searching for wbmdfc.org Openings 2019 are available in this page. Here in this article, we had provided the complete details about WBMDFC Recruitment 2019 notification. Candidates can apply for West Bengal Minorities Development and Finance Corporation Vacancies 2019 from 18th January 2019 to 17th February 2019. In the following sections, we had given complete information about the Educational Qualification, Post wise vacancies, Salary details, and Selection process. At the end of the page, we had provided the পশ্চিমবঙ্গ সংখ্যালঘু উন্নয়ন ও অর্থ কর্পোরেশন Notification link. Candidate must complete the degree from a recognized University in any discipline. Minimum 5 years experience of working in a Government organization. Basic knowledge of Accounts and Accounting Procedure and Diploma in Computer application from a Government recognized institute. Candidate must complete Madhyamik or its equivalent qualification from a recognized board, and Basic knowledge of computer. Minimum 5 years experience in handling loans/scholarships/accounts/microcredit in a Government Mustorganization. Candidate must Pass VIII(eight) from any institute recognized by a Board or a Council. Aspirants must and should have to know the age limit before applying for WBMDFC Recruitment 2019. In the following table, we had given the post wise age limit. After understanding the Age Limit details, applicants can know about the selection process. Here in this section, we had provided correct and accurate information about the selection process. The selection process of WBMDFC Recruitment 2019 is done as follows. Competitors who had got selected for WBMDFC Recruitment 2019, they will get an attractive pay scale. In the following table, we had provided post wise salary details. For more information about this salary details, candidates can visit the official notification of WBMDFC Recruitment 2019. Candidates who are interested in applying for WBMDFC Recruitment 2019, they must and should have to know the details about application fee. Firstly, Candidates must visit the official notification of West Bengal Minorities Development and Finance Corporation @ wbmdfc.org. Then the home page of West Bengal Minorities Development and Finance Corporation will appear on the screen. There you will get New Notices section, in that click on more options. From there you will move to the Recruitment part. In that Recruitment part, search for WBMDFC Recruitment 2019 link. Then there, click the Recruitment_Notice link. Now you will get the official notification of WBMDFC Recruitment 2019. Study and understand the complete information provided in the notification. After understanding, if you are eligible then fill the details in the application form. Recheck all the details that you have provided are correct or not. Then submit the application form before the closing date. Here in this article, we had given complete information about WBMDFC Recruitment 2019 which is correct and accurate. 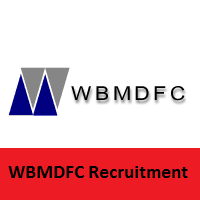 For more information about this WBMDFC Recruitment 2019 to fill 41 Assistant Manager, LDC, Group-D, Driver Posts, candidates can also visit our official site Sarkari Recruitment. Aspirants can also get information about different state and central government jobs. Competitors who are having queries about this article can leave us a comment in the below-provided box.